This is a clay jar. It is something that was probably used during Bible times. I doubt they are used in today’s modern times. Why? These were hand made by a person. Which takes time. They are also very fragile. Our society is too fast paced to see the actual wonder in a product like this. There were many uses for this type of container. It would hold water, oil, or any other type of liquid. I’m sure you could put dry stuff in it too, like flour. If this container got a hole, we would consider it useless, right? 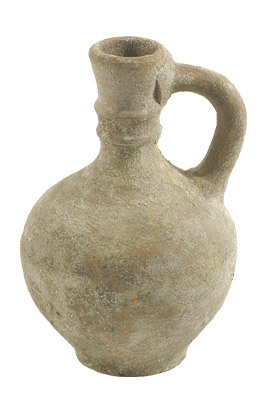 Why would God describe us as jars of clay? It’s such a fragile, hard to make item to compare us to. He did make Adam out of the dust of the ground. I think that just proves that He does the molding & shaping of us. And it’s ok if we are broken, because when we are, people can see Him. Let that sink in your heart.